Oh hey there! I feel like I haven’t set aside any time for blogging in forever, because of my university exams. They’re finally over now, so I’m excited to start blogging again properly. 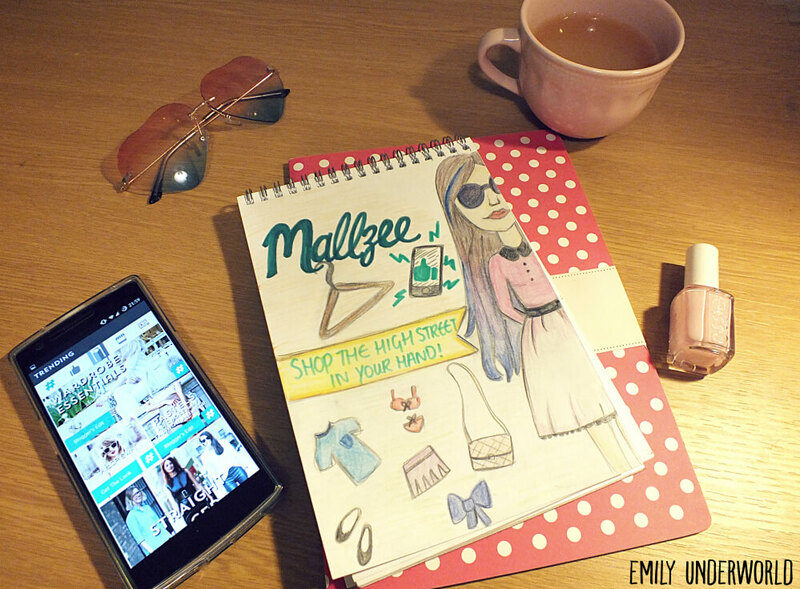 Today I’m writing about my favourite app for fashion, Mallzee. If you’ve been reading my blog for a while, you might be feeling de-ja-vu, because a while back I wrote a post explaining what Mallzee is and why I love it (back when my blog was called La Carmella). 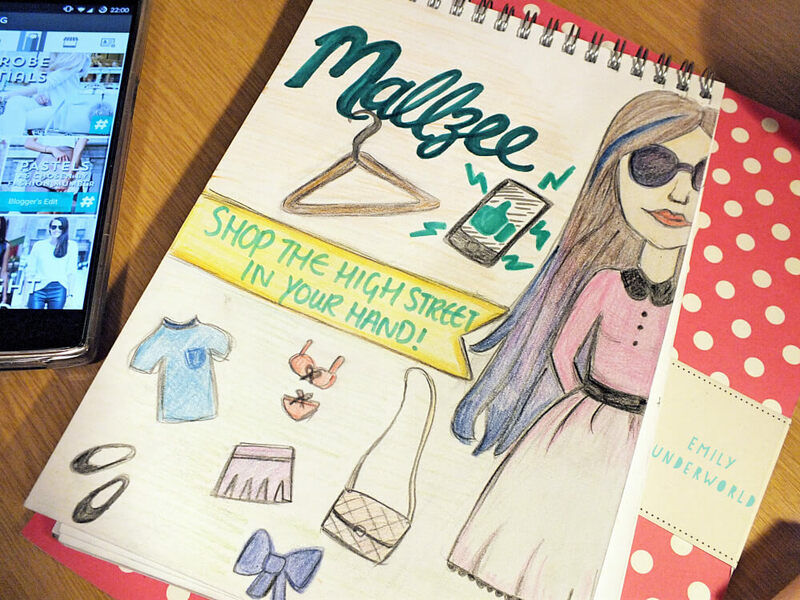 When I had an iPhone, Mallzee was a great way to pass time on the bus when travelling to uni, or if I was looking for a specific item of clothing, like a dress for an event, Mallzee was a great way of looking at all my favourite shops at once. However, I upgraded to an android Oneplus One a while ago, and Mallzee wasn’t available on the Play Store (sad face)… but now it is! The best part is, all of my saved items are still on my account, so I don’t have to start again with my new phone. “Wait, what is Mallzee?”, I hear you ask. 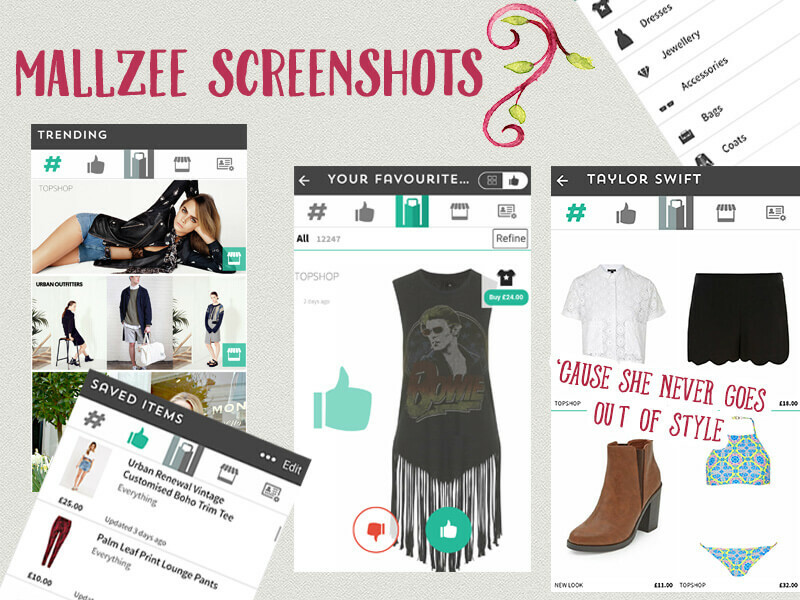 Mallzee is essentially Tinder, but for fashion. Cute clothes and accessories appear on your phone screen, and you swipe left or right depending on if you the item or not. The clothes you like are saved in a wishlist, and you can purchase them directly through the app. There are tons of different brands on the app (over 100! ), and you can select particular ones to shop with or look at them all at once. My favourites are Topshop, Urban Outfitters and Oasis. 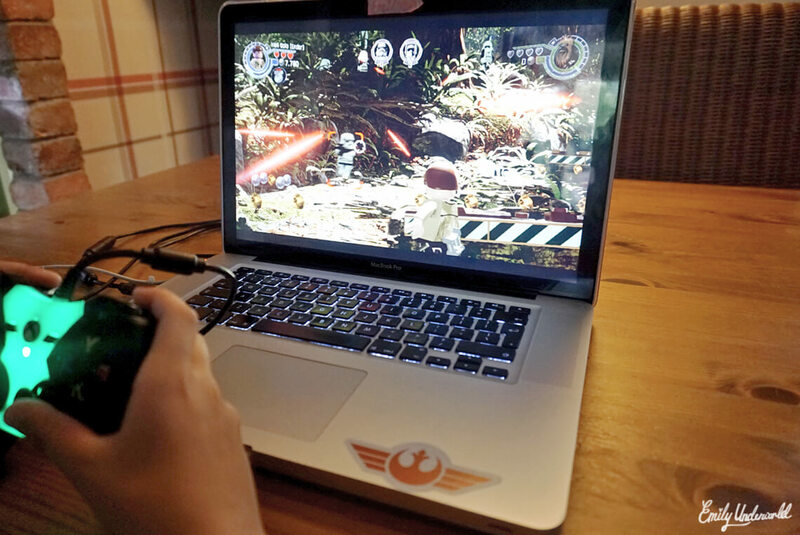 You can create separate wishlists for different things. I currently have several going on, including Little Black Dresses, a general wishlist, and a Topshop-only wishlist. The app tells you when items in your wishlist are on sale! Yay for saving my student loan. They have specific lookbooks / trending fashion collections, so you can view the latest trends or look like fashionable people like TAYLOR SWIFT! Yes! Mallzee recently put together a selection of Marvel Avengers themed t-shirts from Uniqlo, and I couldn’t resist buying the Captain America one (which was only £12.90). I hadn’t heard of Uniqlo before using Mallzee, and I’ve also bought a few Star Wars t-shirts for my little brothers, which are on their way in the post. This blog post is for a competition that Mallzee are running for bloggers, but I honestly use this app all the time and love it! Plus it’s free for iPhone and Android, so you can just try it for yourself and see what you think. Apparently the most creative post wins and gets featured on Mallzee’s blog and gets a giftcard (perfect for OOTD’s! ), so of course I instantly grabbed my sketchbook, pencils and cup of tea, and got arty! Have you tried Mallzee before? Download it here for iPhone, and here for Android.